From the “what tangled webs we weave” department comes this odd tale of how Buick’s efforts to build an economy car in the early 1960s gave birth to the premier British hot rod engine and a V6 that was still powering new GM cars some 45 years after its original demise. This is the story of the 1961-1963 Buick Special and Skylark, the aluminum Buick / Rover V8, and the long-lived GM 3800 V6 engine. By the end of World War II, Buick, second from the top the General Motors model hierarchy, was firmly established as a “semi-prestige” make. If it didn’t quite have the snob appeal of Cadillac or Packard, it was still highly respectable — the kind of car a doctor, lawyer, or bank vice president might own. It was, in short, an aspirational car for middle-class buyers, an enviable position that earned it a consistent fourth-place ranking in U.S. auto sales, exceeded only by the “Low-Priced Three”: Chevrolet, Ford, and Plymouth. Buick’s strength in the fifties was based mostly on its entry-level model, the Special, which was priced only about $200 above a Chevrolet Bel Air. This was down-market for Buick, invading the price range normally occupied by Oldsmobile and the higher-end Pontiac models, and while it was very successful, its success came largely at the expense of Buick’s corporate siblings. For GM’s mid-price divisions to eat each other’s lunch like this flew in the face of the doctrine laid out by Alfred P. Sloan in the twenties, but it was an effective and profitable strategy for Buick. Sales rose to more than 737,000 for the 1955 model year, more than 40% of which were Specials. That was an almost 50% increase over Buick’s normal volume, taking the division to third place in the industry and beating Oldsmobile and Pontiac by more than 150,000 units. Unfortunately, Buick soon fell victim to its own success. By 1956, its wild sales growth and the attendant rapid increase in production had wreaked havoc on Buick’s traditional quality control, exacerbated the following year by a disastrous new transmission, the Flight Pitch (Triple Turbine) Dynaflow. As word spread about how problematic new Buicks were becoming, buyers began to shy away just as a national recession nearly crippled the mid-price market. Buick sales for the 1958 model year plummeted to barely a third of their 1955 peak, leading to an extensive housecleaning of the division’s leadership. The recession, as we have seen, produced a sudden spike in the popularity of compact economy cars like AMC’s newly revived small Rambler and the imported Volkswagen Beetle. Chevrolet was developing the compact, rear-engine Corvair for 1960, but that did nothing to help Pontiac, Oldsmobile, and Buick, which had been hit much harder. 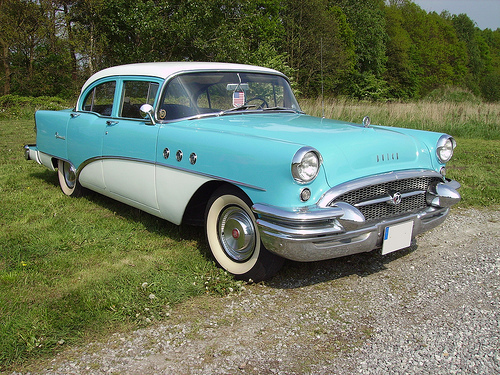 Starting in 1958, GM imported a limited number of European Opels and Vauxhalls for Buick and Pontiac dealers, but it was strictly a temporary measure while the corporation prepared a more considered solution. Buick dropped the Special name in 1959 as part of the division’s response to the dreadful sales performance of 1957 and 1958. 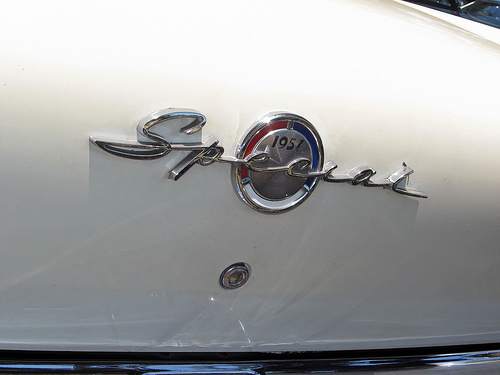 The Special badge returned in 1961 on an entirely new car. Buick’s Senior Compact, which went on sale on October 5, 1960, was dubbed the Buick Special. Although Buick had dropped the Special nameplate after the 1958 model year, the old Special had been a sales success and new Buick general manager Ed Rollert may have thought that giving the new car a familiar name would help put buyers at ease. Some reassurance was probably necessary because the Special was a major departure for Buick. Excepting a small number of Opel Olympia Rekords the division had imported from GM’s German subsidiary between 1958 and 1960, the new Special was the smallest car Buick had offered in more than two decades. The 1963 Buick Special was 192.1 inches (4,879 mm) long on a 112.1-inch (2,847mm) wheelbase. The Special was considered a compact at the time, although it’s roughly the size of a modern Toyota Camry or Ford Mondeo. This is a 1963 Special Skylark Sport Coupe, which had a base price of $2,857. Exactly 32,109 of these cars were produced for 1963, making it the second most popular Special model; the best seller was the four-door Special Deluxe sedan. Although it shared the Corvair’s body shell, the Special looked nothing like its Chevrolet cousin and was somewhat larger, stretching 8.4 inches (213 mm) longer overall on a 4.1-inch (104mm) longer wheelbase. The Special was more than 2 feet (63 cm) shorter and about 1,500 lb (680 kg) lighter than a 1961 Buick LeSabre, but gave up surprisingly little interior room; the full-size Buicks were big, but packaging efficiency had not been a major priority in their design. Unlike the Corvair, the Special had an entirely conventional front-engine/rear-drive layout and suspension, meaning that it drove like any other American car, with a soft ride, light steering, and predictable understeer. The Special even had a V8: a brand-new 215 cu. in. (3,528 cc) all-aluminum engine. The use of aluminum for automotive engines was not new even in 1961. Marmon had offered an all-aluminum V-16 back in 1932 and many prewar Detroit L-head engines had offered aluminum cylinder heads. The postwar switch from L-head to OHV engines, whose cylinder heads are considerably more complex than those of a flathead engine, had led Detroit back to cheaper, more familiar cast iron, although aluminum heads were fairly common on European engines of the fifties, at least in the higher price classes. Aluminum’s principal advantages as an engine material are light weight and superior heat conductivity. Although aluminum isn’t as rigid or as durable as iron and requires greater thickness to achieve comparable strength, the use of aluminum can still reduce an engine’s weight by 30% or more compared to a cast iron engine of the same size and displacement. Aluminum’s better heat conductivity, meanwhile, provides better cooling for air-cooled engines and can allow a water-cooled engine to use a smaller, lighter water jacket, providing additional weight savings. The styling of the Y-body Buick Special was very similar to that of its contemporary full-size brethren. The photo car is a 1963 Skylark, which got a new front end that increased overall length from 188.4 inches (4,785 mm) to 192.1 inches (4,879 mm), eliminating the 1962 Special’s distinctive protruding fender tips in the process. 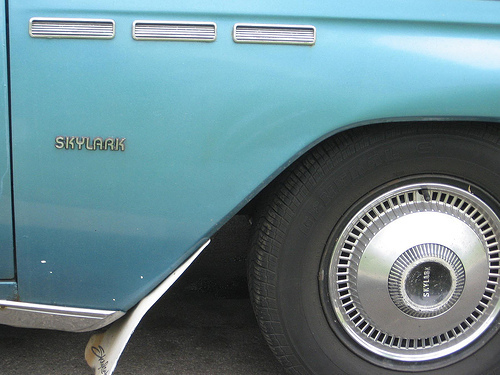 The 1963 Special/Skylark is arguably the best-looking of Buick’s Y-body cars, although the extra sheet metal made it somewhat heavier than the 1961 model. Back in 1950, Charles A. Chayne, then Buick’s chief engineer, had ordered the development of an experimental high-performance aluminum V8 for the LeSabre and XP-300 concept cars. Designed by engineer Joseph D. Turlay, who would also design Buick’s first production OHV V8, the experimental engine displaced 216 cu. in. (3,535 cc) and featured an aluminum block with iron cylinder liners, aluminum heads with hemispherical combustion chambers, dual carburetors with methanol injection, and a belt-driven supercharger. All this yielded up to 335 hp (250 kW) from an engine weighing only 550 lb (250 kg), very impressive for the time. The supercharged V8 was never intended as a production project, but Chayne undoubtedly remembered it when he became corporate VP of engineering in 1951. By 1952, Chayne’s corporate engineers were working on aluminum engines and engine components. By 1956, that work had culminated in a project to develop an all-new compact, lightweight aluminum V8 that would be suitable for mass production. A year later, that engine was selected to power the new X-100 compacts. As originally designed by engineer Darl F. Caris of the corporate Power Development Section, the aluminum V8 had a displacement of 183 cu. in. (about 3,000 cc) and used an experimental bore-coating process that allowed it to run without cylinder liners. Early testing, using an Opel Rekord test mule, suggested the need for more torque, so the engine was bored and stroked to 215 cu. in. (3,528 cc). In September 1957, engineer Oliver K. Kelley, previously the head of the corporate Transmission Development Group and one of the lead designers of the original Hydra-Matic and Dynaflow transmissions, became Buick’s new chief engineer. Kelley successfully lobbied for Buick to build the corporate engineers’ aluminum V8, which was originally supposed to be shared by all three X-100 cars. Like Buick’s bigger OHV “Nailhead” V8, development of the production engine would be overseen by Joe Turlay and his assistant, Cliff Studaker. Like most American V8s of its era, Buick’s aluminum engine was a 90-degree V8 with a single block-mounted camshaft and pushrod-operated overhead valves. It eschewed the pentroof combustion chamber layout of Buick’s big Nailhead V8 in favor of a modified wedge shape that Buick described as a “slanted saucer,” intended to minimize detonation with low-octane regular gasoline. Both the cylinder block and cylinder heads were aluminum, but the linerless block was deemed too risky, so the production engine got unusual cast-in iron cylinder liners, held in place by groves in the cylinder walls. Unlike the aluminum blocks subsequently offered by AMC and Chrysler, the Buick engine’s block was cast using a combination of die-casting and semi-permanent steel molds. The cylinder heads used only the latter process (with cast iron valve guides). Even with the addition of iron cylinder liners, the Buick aluminum V8 was one of the lightest automotive engines in the world, weighing only 318 lb (144 kg) dry, a creditable figure even today. It was fully 215 lb (98 kg) lighter than a small block Chevrolet V8 and barely half the weight of Buick’s larger Nailhead. In fact, the aluminum V8 was lighter than some contemporary cast iron fours. Oldsmobile also used the aluminum V8, but that division’s engineers insisted on making various detail changes, including new cylinder heads with six head bolts rather than five, slightly larger intake valves with conical springs, different rocker arms, and conventional wedge combustion chambers with flat-topped rather than dished pistons. Oldsmobile engineers claimed their version of the aluminum engine was slightly more powerful and somewhat more durable than was its Buick cousin, although any advantage was not readily apparent. The two engines had the same rated horsepower, but the Oldsmobile version claimed only 210 lb-ft (285 N-m) of torque and weighed 32 lb (15 kg) more than the Buick V8. The development of Pontiac’s senior compact, the Tempest, is a more complicated story beyond the scope of this story, but suffice it to say that Pontiac eventually balked at either sharing the Corvair’s powertrain, as the corporation originally had in mind, or using the aluminum V8, which Pontiac general manager Bunkie Knudsen and chief engineer Pete Estes thought too expensive. Instead, Pontiac adopted a new 195 cu. in. (3,186 cc) “Slant Four” derived from the division’s 389 cu. in. (6,372 cc) V8, offering power comparable to the Buick engine’s at far less cost (although also with far less refinement). Under pressure from senior management, Knudsen and Estes reluctantly agreed to offer the Buick V8 as an option on the Tempest in 1961–1962, although very few were sold. Even in mildly tuned two-barrel form, the Buick V8 gave the relatively lightweight Senior Compacts fine all-around performance. Buick claimed that a 1961 Special with the optional two-speed Dual-Path Turbine Drive automatic and 3.08 axle could go from 0-60 mph (0-97 km/h) in a reasonable 13.4 seconds; claimed top speed was 101 mph (162 km/h). The standard three-speed manual would trim about 2 seconds off that time, which was better than some considerably larger and far more powerful contemporary V8 sedans could manage. Either way, fuel consumption ranged from 15–16 mpg (14.7 to 15.7 L/100 km) in city driving to around 20 mpg (11.8 L/100 km) on the road, about 20% better than a full-size Buick and good enough to qualify the Special as an economy car by American standards. For all its virtues, the compact Buick Special found itself in an awkward market position. With a list price starting at $2,330, the Special was about 25% cheaper than the least-expensive full-size Buick, but was still one of the priciest compacts on the domestic market, costing over $200 more than a Pontiac Tempest and $129 more than the popular Corvair Monza. Even with the Skylark, first-year production of the Buick compact was an underwhelming 86,868. That was a bit better than Oldsmobile’s Y-body F-85, which sold only 76,394 units in the U.S., but still less than a quarter of the old Special’s peak sales and undoubtedly less than Buick had hoped. Why didn’t the compact Special sell better? A sluggish economy probably didn’t help, but the bigger problem seems to have been a mismatch of size, price, and customer expectations. 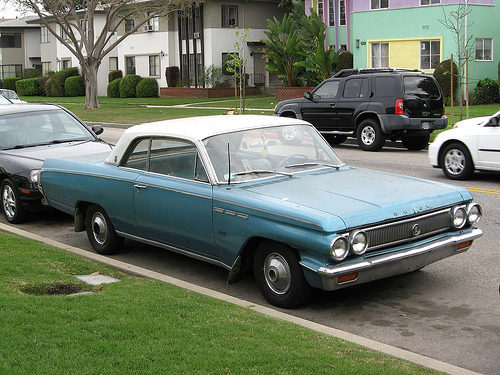 Americans were still buying compacts in 1961 — Rambler remained No. 3 in domestic new car sales — but shoppers who went looking for a smaller car generally did so with the expectation of saving money, which made Buick showrooms an unlikely destination. Keen shoppers were also likely to note that while the Special (or the F-85) was cheaper than a full-size LeSabre, the price of a new Special was also very close to that of a full-size Chevrolet Bel Air. That a full-size Buick was superior to a full-size Chevrolet was something most contemporary buyers would have accepted with little question, but whether a small Buick was better than a big Chevy was a more complicated question. The compact Special was also a puzzler for traditional Buick customers. Despite its lower price, the earlier Buick Special was by no means a small car; much of its appeal had lain in the fact that it looked and felt much like any other Buick. By contrast, while the Y-body Special looked like a Buick — the stylists had done a fine job of adapting the division’s contemporary design cues to the smaller dimensions — it was unarguably small to American eyes, not only by Buick standards, but within the context of the U.S. auto industry as a whole. Had the Special arrived in 1958 (which of course would have been impossible, lead times being what they are), buyers might have embraced it, but now, it seemed like not enough Buick for the money. Despite its tidy dimensions and sporty pretensions, the Buick Skylark’s suspension was tuned for a typical Buick ride: soft and floaty on smooth pavement, unsettled and seasick on rough roads, with lots of lean and understeer in fast turns. Stopping power wasn’t bad, although the drum brakes fade significantly in repeated use. Beyond that, we can’t imagine that the similarities between the Special and the F-85 did either car any favors. The two divisions had been stepping on each other’s toes for years, but the Special and F-85 were identically sized, identically priced, and powered by substantially the same engine, which meant that the only meaningful differences between the two cars were styling, the relative values of the two brand names, and mechanical variations the average buyer wouldn’t necessarily even notice. It foreshadowed the blurring of brand identities that would do GM’s market position so much damage in later years. All this would have been problematic even if the cars had been mechanically flawless, but that was unfortunately not the case. Although the aluminum V8’s design was fundamentally sound, its construction tested the limits of GM’s metallurgical capabilities. Many nearly completed early engine blocks were scrapped because of excessive porosity in the aluminum. Some engines so afflicted weren’t detected in time and ended up in customer cars, where the blocks quickly developed severe oil leaks or ended up with cross-contamination of oil and coolant. While that issue was eventually addressed, cooling system problems remained a headache. Some of those were the result of machining problems, but most were the product of using the wrong coolant. If owners or dealers substituted antifreeze intended for cast iron engines, the coolant would strip layers of metal off the insides of the water jacket and eventually clog the radiator with aluminum deposits. Routine spark plug cleaning or replacement also required care to avoid stripping the aluminum heads’ plug threads, which would have expensive consequences. None of those problems was a fundamental design flaw, but such issues did not enhance the engine’s reputation. Buick recognized early on that price was going to be a significant handicap for the Special. In response, the division hastily prepared an alternative: a cheaper base model equipped with the first six-cylinder engine Buick had offered since 1930 and the only V6 in any American passenger car of its era. The 1963 Buick Skylark was a good deal more expensive than a basic Special, to the tune of nearly $500. This one has the optional padded vinyl roof — still something of a novelty in 1963 — and the two-speed Dual Path Turbine Drive automatic. The Turbine Drive blunted the performance of the little V8 somewhat, but it was very smooth. 0-60 mph (0-97 km/h) takes a bit under 12 seconds, with a top speed of perhaps 105 mph (170 km/h). The new engine, known as the Fireball V6, was suggested by Joe Turlay, who convinced Ed Rollert that a V6 version of the small V8 could be produced on the same production lines and would be superior in every respect to the big Pontiac four. Since the V6 was a relatively straightforward derivative of an existing engine and shared many minor components, development was very rapid; the V6 went from concept to production in well under a year. The V6 shared the V8’s basic architecture, including the aluminum engine’s 90-degree bank angle. That was expedient, but left the Fireball engine with certain intrinsic design problems. V6 engines are inherently unbalanced, with a secondary couple that causes the engine to twist and/or rock end to end. Eliminating that imbalance requires either a counter-rotating balance shaft turning at twice the speed of the crankshaft or something exotic in the way of counterweights. Using a 90-degree vee (rather than the 60-degree bank angle common to most modern V6s) significantly increases the magnitude of the coupling force. Furthermore, because the Fireball’s crankshaft was derived from the V8’s, it had only three throws, which provided uneven firing intervals that alternated between 150 and 90 degrees of crankshaft rotation. (A six-throw crank allowing even, 120-degree firing intervals was judged too expensive.) In partial compensation, the unusual cross-bank firing order improved breathing, so Turlay, Studaker, and the development team eventually decided to accept the odd-fire crank and concentrate on isolating the rocking motions with softer engine mounts and a heavier flywheel. These efforts were successful enough that the engine’s vibration was not readily apparent to the driver or passengers, although the soft mounts and some additional engine compartment sound deadening couldn’t disguise another side effect of the uneven firing intervals: an odd loping sound at idle. 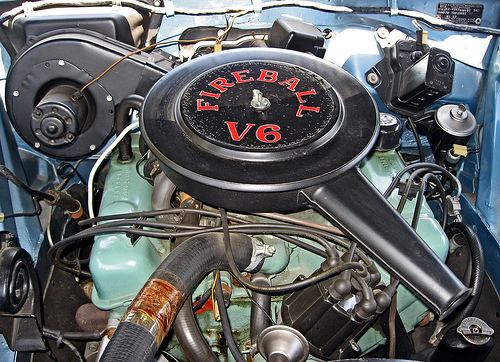 The earliest prototypes of the Fireball V6 were aluminum, but the production engine reverted to cast iron, which was easier to cast and eliminated the need for cylinder liners. Bore and stroke were increased, giving a total displacement of 198 cu. in. (3,235 cc). By taking advantage of of recent developments in high-precision “thinwall” casting techniques, Buick was able to hold the cast iron engine’s weight penalty to only 50 lb (23 kg). The V6 was less powerful than the V8, making 135 gross horsepower (101 kW) and 205 lb-ft (278 N-m) of torque, but had better fuel economy and was significantly less expensive to manufacture. The Buick Fireball V6 was not the only V6 in America; contemporary GMC trucks used a bigger 60-degree V6 engine. Buick’s engine, however, shared the 90-degree bank angle of the 215 cu. in. (3,528 cc) aluminum V8, which made the V6 cheaper to build, but resulted in uneven firing intervals and more vibration at idle than an inline six, an issue not fully rectified until much later in this engine’s long life. In its initial form, the V6 displaced 198 cu. in. (3,235 cc), making 135 gross horsepower (101 kW) and 205 lb-ft (277 N·m) of torque with a single two-barrel carburetor. The V6 became standard on base Specials for 1962, earning Motor Trend‘s Car of the Year Award. While the V6 was cheaper to produce than the V8, a 1962 Special V6 was actually only $26 cheaper than an equivalent V8-powered ’61, which wasn’t a vast amount of money even at the time. Nonetheless, roughly one-third of all Special buyers opted for the Fireball engine, which promised to be more economical and less troublesome than the V8. The aluminum V8 remained optional on 1962 Buick Specials and standard for the Special Deluxe, again offering 155 hp (116 kW). The four-barrel version, standard on the Skylark and optional on Specials, now boasted 190 gross horsepower (142 kW) thanks to a higher compression ratio. A four-speed manual transmission — the ubiquitous Borg-Warner T-10 — was newly optional, although at $200, it was actually $11 more expensive than the Turbine Drive automatic most buyers preferred. The Jetfire was far more sophisticated than the turbocharger installation in the contemporary Corvair Monza Spyder and far more powerful, making 215 gross horsepower (160 kW) and 300 lb-ft (407 N-m) of torque. Unfortunately, while Oldsmobile had gone to great lengths to protect the engine from overboost or abuse in hard driving, the Jetfire engine coped less well with the lazier use to which most F-85 buyers were apt to put it. Only 9,607 Jetfires were sold before Oldsmobile canceled the turbocharged engine in 1963 and many survivors later had their turbocharger hardware removed by helpful dealers. The Y-body Senior Compacts returned for a final encore in 1963, receiving an extensive facelift that added about 3.7 inches (94 mm) to their overall length. The two-barrel versions of the Buick and Oldsmobile V8s continued mostly unchanged, but the four-barrel version in the Buick Skylark now claimed 200 hp (149 kW) and 240 lb-ft (325 N-m) of torque while the similar engine in the Oldsmobile Cutlass boasted up to 195 hp (145 kW) and 235 lb-ft (319 N-m) of torque with automatic transmission. By this time, Ed Rollert, Oldsmobile general manager Jack Wolfram, and Pontiac boss Pete Estes had all lost faith in the Y-body cars and in the aluminum V8. (Pontiac had actually dropped the aluminum Buick engine even as an option after 1962, substituting a de-bored version of Pontiac’s cast iron V8.) Sales had been underwhelming — the Special and Skylark had accounted for only about 390,000 units in three years, the F-85 and Cutlass considerably less than that — and all three cars had been much too expensive to build, cutting into profit margins and return on investment. The aluminum V8 had not been the sole reason for that, but the engine’s manufacturing problems and high warranty costs had not left any of the divisions with warm feelings. High costs and low profits were not the GM way, so for 1964, the Y-body Senior Compacts would be replaced by a new generation of bigger, more conventional, less costly A-body intermediates. The demise of the Senior Compacts also meant the end of GM’s interest in the troublesome and expensive aluminum V8. Even if the aluminum engine had had a better service record, the latest thinwall cast iron engines were only moderately heavier and were far cheaper to build. The following year, Buick discarded the V8’s aluminum cylinder heads in favor of cheaper cast iron heads. The all-iron 300 cu. in. (4,923 cc) V8 now weighed almost 150 lb (67 kg) more than the original aluminum V8, but was still lighter than either any other GM V8 of similar displacement or, for that matter, Ford’s smaller 289 cu. in. (4,728 cc) engine, another thinwall iron design. The Fireball V6, meanwhile, returned basically unchanged for 1964. It was now standard not only on the Buick Special, but also the new A-body Oldsmobile F-85, where the engine was dubbed “Econ-O-Way.” The V6 returned for 1965, but Buick expanded its bore and stroke to match those of the cast iron V8, bringing the V6’s displacement to 225 cu. in. (3,692 cc). In this form, the V6 had 155 gross hp (116 kW) — raised in 1966 to 160 hp (119 kW) — matching the old aluminum V8 and offering better fuel economy at much lower cost. 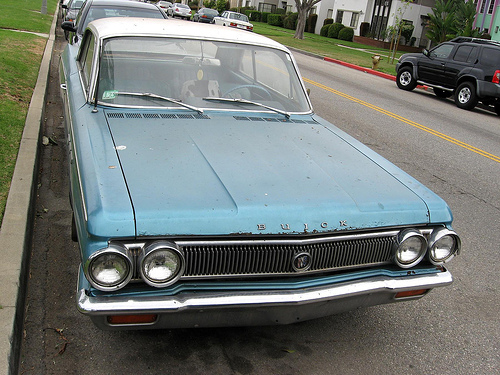 Buick’s small V8 grew for 1966 to 340 cu. in. (5,574 cc) and for 1968 to 350 cu. in. (5,724 cc). In that form, it would survive through the 1981 model year. The V6, meanwhile, was standard equipment on 1964–1965 Oldsmobile F-85s and on the Buick Special and Skylark through the 1967 model year. After that, Buick dropped the V6 in favor of a bigger inline six purchased from Chevrolet. However, the Fireball V6 was not dead, as we’ll discuss shortly. Ordinarily, that would’ve been all she wrote for the aluminum V8 and its V6 brother, but each engine had a different — and separate — fate in store. In 1963, the British automaker Rover was looking for a new engine to power its top-of-the-line cars. The existing Rover P5 saloon had a somewhat elderly 183 cu. in. (2,995 cc) F-head straight six that was too heavy and too thirsty for its modest output. Rover was exploring five- and six-cylinder versions of the new inline four from the Rover P6 when managing director William Martin-Hurst had an entirely different inspiration. Martin-Hurst was then visiting Fond du Lac, Wisconsin, to talk to Mercury Marine president Carl Kiekhaefer about licensing Rover’s new gas turbine engine for marine applications. During those discussions, Martin-Hurst noticed (or, in some versions of the story, literally stumbled over) a Buick aluminum V8 that Kiekhaefer had intended to install in a power boat. After Kiekhaefer explained what the engine was, Martin-Hurst arranged to have the V8 shipped back to Solihull for evaluation. Some Rover engineers were less than thrilled with the idea of using an American engine in their cars, but the aluminum V8 transformed the performance of the Rovers in which it was installed. The V8 was only slightly heavier than the P6’s four-cylinder engine, significantly lighter than the P5’s F-head six, and dramatically more powerful than either. If Buick had still been building the aluminum V8, Rover would likely have arranged to purchase complete engines for use in its own cars. Since the aluminum engine was no longer in production, however, Martin-Hurst instead approached Rollert about the possibility of Rover’s purchasing the manufacturing rights. Although GM was initially puzzled by the inquiry, a deal was struck by early 1965, giving Rover the rights to manufacture and use the aluminum engine. Although Buick threw in copies of its technical data and a number of unused production engines, Rover had very little prior experience with V8s or vee engines in general. Since the engine’s lead designer, Joe Turlay, was about to retire, Rover arranged to hire him as a consultant and move him to England to oversee the establishment of Rover’s new V8 production line. The aluminum V8 required various changes to prepare it for Rover’s use. Since there were then no English suppliers capable of replicating GM’s casting methods for the V8’s aluminum block, Rover had to redesign the engine for simpler sand casting methods, which also required substituting pressed-in cylinder liners for the Buick engine’s cast-in units. The V8 also got a new crankshaft and an assortment of British-made carburetors and accessories. Those changes made the Rover version of the aluminum V8 around 55 lb (25 kg) heavier than its Buick predecessor, but the Rover engine was still very light for its size and displacement. Since none of Rover’s manual gearboxes could withstand the V8’s torque, the aluminum engine was initially available only with automatic transmission, the locally built Borg-Warner 35. The V8 was first added to the Rover P5 (now badged 3½ Litre) in September 1967, offering 184 gross horsepower (137 kW; 161 hp/120 kW net) — fully 50 hp (37 kW) more than the much heavier F-head six. The aluminum V8 went into the Rover P6 (badged Rover 3500) in early 1968, transforming the already sporty P6 into something of an executive hot rod, and in 1970 the alloy engine was chosen to power the new Range Rover sport-utility vehicle. The aluminum V8 survived Rover’s 1967 acquisition by Leyland Motors (owners of rival Standard-Triumph) and the 1968 merger that created the British Leyland Motor Corporation (BLMC or just BL). The Buick/Rover engine subsequently found its way into everything from military Land Rovers to the MGB. The Rover V8 was eventually offered in a bewildering array of displacements, from the original 215 cu. in. (3,528 cc) to 241 cu. in. (3,947 cc), 261 cu. in. (4,278 cc), 269 cu. in. (4,416 cc), 277 cu. in. (4,546 cc), and 304 cu. in. (4,988 cc). It remained in production until the demise of the first-generation Land Rover Defender in 2004. Even that was not the end; in 2006, the British engineering firm MCT Mitchell Cotts licensed the rights to build the V8 in crate form for use as a replacement engine for older vehicles or to power race cars, kit cars, or small-volume specialty makes. The Rover V8 is likely to remain in at least limited production well past its 60th birthday. The Buick Fireball V6, meanwhile, was beginning a strange odyssey of its own. In the early sixties, Jeep was still using the old Willys F-head Hurricane four in the CJ-3B and CJ-5 Jeep Universals, which for space reasons couldn’t use Kaiser Jeep’s more powerful Tornado OHC six. Since the elderly Hurricane had only 72 gross hp (54 kW), barely adequate even in the compact and relatively lightweight Universal, owners and some Jeep dealers began looking around for alternatives. The Fireball V6 soon became a popular choice because it was relatively light and was compact enough to fit in the space intended for an inline four. After the factory learned of these swaps, Kaiser engineers obtained a Fireball-powered CJ-5 prepared by a dealer in Salt Lake City and put the vehicle through its paces. Extensive testing revealed that the V6 not only greatly improved the CJ-5’s performance, but was also at least as durable as the archaic and overtaxed four-cylinder engine. In 1965, Kaiser Jeep approached Buick about the possibility of offering the Fireball V6 as a factory option for the CJ-5. The first factory-built, V6-powered CJ-5s arrived later that year as 1966 models. The Jeep version of the V6, which Kaiser Jeep called Dauntless 225, was very similar to the Buick version, but had an even heavier flywheel to dampen more of the V6’s second-order vibration. Kaiser Jeep subsequently arranged to purchase the manufacturing rights to the V6 along with its tooling, which in 1967 was transferred to the Jeep plant in Toledo, Ohio. After American Motors bought Jeep from Kaiser in early 1970, AMC vice president Gerry Meyers decided the V6 had had its day. While it was superior to the (still available) F-head four, the Dauntless was rougher than most contemporary sixes, so Meyers deemed it unacceptable for regular passenger car duty. American Motors had neither the money nor the inclination to invest in improving the V6 and opted instead to substitute AMC’s own inline six, already used in various other Jeep products. For the 1972 model year, Jeep dropped both the Hurricane four and the Dauntless V6 and reengineered the CJ-5 to accept a new lineup of AMC engines. However, the tooling for the Dauntless engine was not scrapped, but rather packed in Cosmoline and placed in storage in Toledo. Surprisingly, even that was not the end of the road for the Buick V6. The first OPEC oil embargo, which began in October 1973, had a devastating effect on auto sales around the world; Buick’s sales for the 1974 model year fell 50% as buyers again turned to smaller, more fuel-efficient vehicles. That was bad news for Buick, whose smallest 1974 model was the Apollo, a clone of the Chevrolet Nova powered by Chevy’s big 250 cu. in. (4,095 cc) straight six or Buick’s own 350 cu. in. (5,724 cc) V8. Recognizing that Buick desperately needed an engine smaller and more frugal than the Chevrolet six, Buick chief engineer Philip Bowser found himself musing on the fate of the old Fireball V6, which seemed like exactly what Buick needed. Upon further further investigation, Cliff Studaker, who by this time was Buick’s assistant chief engineer for powertrain development, found that while AMC was no longer building the Fireball/Dauntless engine, they still had the tooling. Late that year, Bowser and Studaker found an early Buick V6 in a local junkyard and installed the engine in a 1974 Skylark. GM president Ed Cole drove the car and agreed with Bowser that a revived Buick V6 would make a lot of sense. Cole and Studaker then drove the test mule from Flint to Toledo, where Cole arranged for them to inspect the mothballed production equipment. The initial plan was for AMC to resume production of the V6 so that Buick could buy the engines, but by March, Cole decided it would be simpler (and probably cheaper) to buy back the tooling. By April, the deal was complete and the tooling had been hastily reinstalled in its original space in Buick’s Flint engine plant. Buick engineers increased the V6’s bore from 3.75 to 3.80 inches (95.3 to 96.5 mm) to match Buick’s 350 cu. in. (5,724 cc) V8 — itself another cast iron descendant of the original aluminum V8 — which brought the V6’s displacement to 231 cu. in. (3,791 cc). The next step was to modify the engine to meet 1975 federal emissions standards. Remarkably, by August, the V6 had completed its EPA emissions certification, allowing the resurrected engine to return to the Buick lineup for the 1975 model year. The revived V6 bowed with a compression ratio of 8.0:1, high-energy ignition, a catalytic converter, and modest SAE net ratings of 110 hp (82 kW) and 175 lb-ft (237 N-m) of torque. The V6 was standard equipment on the 1975 Skylark, Century, and Regal, although the Apollo retained the Chevrolet six. Around the time the 1975 model year began, Ed Cole belatedly shelved GM’s troubled rotary combustion engine project, so the V6 also replaced the stillborn rotary engine as standard power for the new H-body Buick Skyhawk, Oldsmobile Starfire, and (a year later) Pontiac Sunbird. Buick engineers immediately set about addressing some of the V6’s inherent limitations, something that had never been a high priority in the previous decade. Studaker developed a new “split-pin” crankshaft with two journals per throw rather than only one. Each pair of journals was angled 30 degrees apart, allowing even firing intervals and making the engine noticeably smoother. The “Even-Fire” engine debuted during the 1977 model year, followed a year later by production versions of the turbocharged V6 first seen on Buick’s pace car for the 1976 Indianapolis 500, making either 150 or 165 net horsepower (116 or 123 kW). The turbo V-6 had a troubled early history, but went on to a storied career in the fearsome Grand National and GNX coupes. For economy-minded buyers, there was also a new de-bored, 196 cu. in. (3,216 cc) version of the Even-Fire V6, followed for 1980 by a bigger 252 cu. in. (4,128 cc) version and for 1982 by a short-stroke 181 cu. in. (2,996 cc) engine. By then, the V6 had completely replaced Buick’s V8s. The ferocious Buick Grand National had a turbocharged version of the 3.8-liter V6 with a claimed 235 to 240 hp (175 to 183 kW). The final limited-production GNX version was rated at 275 hp (205 kW) and 360 lb-ft (486 N·m) of torque. Based on the GNX’s performance, both figures were significantly underrated, which may have been to protect the nominal performance supremacy of the Chevrolet Corvette. Over the next two decades, Buick made changes to the V6 almost every year, reducing internal friction, trimming weight, adding features like fuel injection, and whittling away at the engine’s intrinsic vibration problems. The 90-degree V6 became one of GM’s corporate engines, shared by every division; the 252 cu. in. (4,128 cc) V6 even showed up briefly as an option on 1981–82 Cadillacs. The V6 was renamed “3800” following an extensive 1988 makeover that finally added a counter-rotating balance shaft. A cheaper, short-stroke 3300 (3,341 cc, 204 cu. in.) derivative appeared in 1989. The turbocharged version died in 1988 (save for a final, limited-edition Pontiac Trans Am in 1989), but a new supercharged 3800 bowed for 1991. Further redesigns followed in 1995 and 2004. The final version, known as the 3800 Series III, offered up to 260 net horsepower (194 kW) in supercharged form. Production finally ended in August 2008. The venerable Buick Fireball / 3800 V6 survived in various forms for 47 years, often outliving newer engines originally intended to replace it. As of this writing, it appears to have finally reached the end of the line, but it’s been pronounced dead at least twice before, so we wouldn’t be surprised to see it rise again, perhaps in the service of some smaller foreign automaker. This curious story reveals a great deal about GM’s inherent conservatism. When the aluminum V8 and Fireball V6 were new, they represented a considerable departure from the corporation’s normal practice; as a result, GM seemingly couldn’t wait to get rid of them. After GM bought back the rights to the V6, it was cheaper and more expedient to continue refining it than to replace it with a clean-sheet engine, so GM clung to it until it was older than many of the people who built it. Admittedly, Rover/British Leyland/Rover Group clung to the ex-Buick V8 just as tenaciously, but that more reflected the perennially cash-poor condition of the British auto industry than any strong philosophical tendencies. GM, by contrast, had the money to refine the aluminum engine or design a superior replacement, but chose not to. In both cases, the corporation doggedly pursued the path of least resistance, not always to its advantage. As for the Buick Special and Skylark, we feel obliged to point out that nearly 50 years ago, GM had compact, lightweight, reasonably fuel-efficient unit-bodied sedans very similar in size to today’s popular Honda Accord, Ford Mondeo (a.k.a. Contour/Fusion), and Toyota Camry, but threw them away, just as it threw away their lightweight V6 and V8 engines. GM subsequently spent more than 25 years trying to reinvent that particular wheel and it’s only been in the past few years that the corporation has developed truly competitive cars of this type. Like the heading says, the thing speaks for itself. Information on the Buick V8 and its Oldsmobile sibling came from the following sources: William C. Anderson, “Charles A. Chayne, Buick’s Unsung Hero,” The Buick Bugle September 2003, www.buickheritagealliance. org/ pdf/ chayne.pdf, accessed 20 May 2010; the Auto Editors of Consumer Guide, Encyclopedia of American Cars: Over 65 Years of Automotive History (Lincolnwood, IL: Publications International, 1996); Ray T. Bohacz, “Welcome to the Jet Age: The 1961 Buick Aluminum V-8,” Hemmings Classic Car #7 (April 2005), pp. 70–72; John R. Bond, “New from Europe: Taunus: Taunus now has V-4s and V-6s in all models,” Road & Track Vol. 16, No. 4 (December 1964), pp. 96–98; Terry V. Boyce, “Standard Catalog of Buick 1946–1975,” Standard Catalog of American Cars 1946-1975, Rev 4th edition, ed. John Gunnell (Iola, WI: Krause Publications, 2002); Buick Motor Division of General Motors Corporation, “1962 Buick Special: The Happy Medium-Size Car!” [brochure, ca. October 1961], “Skylark” [brochure, ca. April 1961], “The Best of Both Worlds: The Special Size 1961 Buick Special” [brochure, ca. October 1960], and “The New Special Size 1961 Buick Special” [brochure, ca. October 1960]; “Buick Stories by Phil,” Buick Street, 2005, www.buickstreet. com/ buickstories.html, accessed 1 December 2015; Linda Clark, “1964 Oldsmobile 442: Muscling in on the Ponycars,” Special Interest Auto #69 (June 1982), reprinted in Cutlass And 442: Muscle Portfolio 1964-1974, ed. R.M. Clarke (Cobham, England: Brooklands Books Ltd., ca. 1998), pp. 124-131; Terry Dunham and Lawrence R. Gustin, Buick: A Complete History (Automobile Quarterly Magnificent Marques Book), Third edition (New Albany, IN: Automobile Quarterly Publications, 2005); Jim Dunne and Jan P. Norbye, Buick 1946-1978: The Classic Postwar Years, Second edition (Osceola, WI: MBI, Inc./Motorbooks International, 1993); Helen Jones Earley and James R. Walkinshaw, Setting the Pace: Oldsmobile’s First 100 Years (Lansing, MI: Oldsmobile Division of General Motors Corporation, 1996); Ken Fermoyle, “Buick, Olds, Pontiac Go Compact,” Popular Science Vol. 177, No. 4 (October 1960), pp. 72–76, 244–246; James M. Flammang, “1962–63 Oldsmobile F-85 Jetfire: First Wave of the Future,” Collectible Automobile Vol. 19, No. 6 (April 2003), pp. 8–17; Chris Goffey, “History of the Aluminium Alloy V8: The story of the Buick V8 engine which found its way across the Atlantic to power a generation of Rover and Leland vehicles,” Autocar 20 November 1976, reprinted at www.britishv8. org, accessed 23 November 2007; Ken Gross, “All Things to All Men: 1953 Pontiac Custom Catalina,” Special Interest Autos #32 (January-February 1976), reprinted in The Hemmings Motor News Book of Pontiacs: driveReports from Special Interest Autos magazine, ed. Terry Ehrich (Bennington, VT: Hemmings Motor News, 2001), pp. 28–34; John Gunnell, ed., Standard Catalog of American Cars 1946-1975, rev. 4th ed. (Iola, WI: Krause Publications, 2002); Michael Harvey, “The last Rover coupe,” Autocar & Motor 4 March 1992, p. 36; Wick Humble, “1961 Pontiac Tempest: But cars aren’t supposed to have curved driveshafts,” Special Interest Autos #48 (November-December 1978), reprinted in The Hemmings Motor News Book of Pontiacs: driveReports from Special Interest Autos magazine, eds. Terry Ehrich and Richard Lentinello (Bennington, VT: Hemmings Motor News, 2001), pp. 74–86; M. Park Hunter, “1962 Oldsmobile Jetfire: Turbo Before Its Time,” Special Interest Autos #152 (March-April 1996), reprinted in The Hemmings Book of Oldsmobiles: driveReports from Special Interest Autos magazine, eds. Terry Ehrich and Richard Lentinello (Bennington, VT: Hemmings Motor News, 2001); Roger Huntington, “1965 Engines,” Motor Trend Vol. 16, No. 12 (December 1964): 36-47; “Jetfire History: 215 Engine,” The Olds FAQ, 10 April 2000, www.442. com/ oldsfaq/ofjet.htm, accessed 23 November 2007; Don Keefe, “1961-63 Pontiac Tempest: Innovative Brainstorm,” Collectible Automobile Vol. 19, No. 4 (December 2002), pp. 8–21; David Knowles, MG: The Untold Story (Osceola, WI: Motorbooks International, 1997); Michael Lamm, “Martyr,” Special Interest Autos #22 (May 1974), reprinted in Corvair Performance Portfolio 1959-1969, ed. R.M. Clarke (Cobham, England: Brooklands Books Ltd., ca. 1998), pp. 132-140; “New Cars Described: Porsche Modifications,” The Autocar 12 December 1952, reprinted in Porsche 356 Ultimate Portfolio, ed. R.M. Clarke (Cobham, England: Brooklands Books Ltd., ca. 2006), pp. 8–9; Jan P. Norbye and Jim Dunne, Pontiac, 1946–1978: The Classic Postwar Years (Osceola, WI: Motorbooks International Publishers & Wholesalers, 1979); Oldsmobile Division, General Motors Corporation, Oldsmobile Division, General Motors Corporation, “F-85 by Oldsmobile” [brochure], February 1961, and “Oldsmobile for ’64: Where the Action Is!” [brochure], September 1963; Graham Robson, The Rover Story, Fourth Edition (Wellingborough, Northamptonshire: Patrick Stephens Limited, 1988); Mike Spinelli, “Famous Rover V8 Engine Saved,” Jalopnik, 23 February 2006, www.jalopnik. com, accessed 23 November 2007; James Taylor, The Classic Rovers 1934-1977: A Collector’s Guide, 2nd printing (Pitlake, Croydon: Motor Racing Publications Ltd., 1989); David W. Temple, “History of Automotive Deign: 1951 Buick XP-300,” Hemmings Classic Car #35 (August 2007), pp. 56–60; “The Rover V8 will burble again,” PistonHeads, 22 February 2006, www.pistonheads. com, accessed 23 November 2007; Mark Wan, “AutoZine Technical School: Engine Smoothness,” AutoZine, n.d., www.autozine. org/ technical_school/ engine/smooth1.htm, accessed 23 November 2007; and Rene Winters, “The Rover V8: The American Connection” The Rover V8 World, December 2005, www.rover-v8. nl, accessed 23 November 2007. The history of the reborn Buick V6 came from Buick Motor Division of General Motors Corporation, “1975 Buick” [brochure, ca. September 1974]; Jim Dunne, “Detroit report,” Popular Science Vol. 205, No. 1 (July 1974), p. 22; Patrick R. Foster, Standard Catalog of Jeep, 1940–2003 (Iola, WI: Krause Publications, 2003) and The Story of Jeep (Iola, WI: Krause Publications, 1998); Ken Mosher, “The Life and Times of the Buick V6: The Little Engine That Could!” GNNTYPE.org, n.d., www.gnttype. org, accessed 23 November 2007; Arch Brown, “1962 Buick Skylark: School Teacher’s Hot Rod,” Special Interest Autos #87 (May-June 1985), reprinted in The Hemmings Book of Buicks; Larry Griffin, “Buick Regal T-Type: Boost mastery approacheth,” Car and Driver Vol. 29, No. 6 (December 1983), p. 69; John B. Hege, The Wankel Rotary Engine: A History (Jefferson, NC: McFarland & Company, Inc., 2001); Michael Lamm, “’78 Cars,” Popular Mechanics Vol. 148, No. 4 (October 1977), pp. 100-102, 170-173; Jean Lindamood, “Buick Turbo Regal: When Lloyd Reuss Returned, so did performance,” Car and Driver Vol. 27, No. 8 (February 1982), p. 83; Karl Ludvigsen, “GM’s Wankel: The $700 Million Miscalculation,” Motor Trend Vol. 27, No. 3 (March 1975), p. 53, and “Suddenly It’s 1980,” Motor Trend Vol. 27, No. 2 (February 1975), pp. 35-39, 97; Robert Lund, “Driving Buick’s turbocharged V6,” Popular Mechanics Vol. 148, No. 3 (September 1977), pp. 40–44; the Old Car Brochures website (oldcarbrochures.org); Don Sherman, “Back by Popular Demand! Fireball V-6: Super-motor of the Future,” Car and Driver Vol. 23, No. 1 (July 1977), pp. 67-71; “Buick Regal Sport Coupe,” Car and Driver Vol. 23, No. 3 (September 1977), pp. 64-70; and “The New Approach: X,” Car and Driver Vol. 24, No. 11 (May 1979), pp. 80–82; and “Turbochargers give little engines a lift,” Kiplinger’s Personal Finance Vol. 34, No. 3 (March 1980), p. 24. A few details also came from the Wikipedia® entry for the Buick V6 engine (en.wikipedia.org/wiki/Buick_V6_engine, last accessed 20 October 2010). We also consulted the following period road tests: “A Brand New Baby from Buick: The Special,” Popular Mechanics October 1960, pp. 97–99, 308; “Olds F-85: Another Rocket Hits the Road,” PPopular Mechanics October 1960, p. 100–102, 310; “Buick Special: When better (sized) cars are built, Buick will build them,” Road & Track November 1960; “Road Test: The Invicta and the Special,” Motor Life January 1961; John Lawlor, “The Buick Skylark: a new luxury coupe that may be a good preview of styles to come in ’62,” Motor Trend Vol. 13, No. 6 (June 1961); “Buick Special V-6: A surprising power source in a well-known chassis,” Road & Track November 1961; and “Buick Skylark: ‘When better cars are built…’ a slogan we once laughed at now means something,” Road & Track March 1962, all of which are reprinted in Buick Performance Portfolio 1947-1962, ed. R.M. Clarke (Cobham, England: Brooklands Books Ltd., ca. 2000); Bob McVay, “Buick Special,” Motor Trend Vol. 15, No. 9 (September 1963); Jim Wright, “Buick Skylark Road Test,” Motor Trend Vol. 15, No. 12 (December 1963); and “Buick LeSabre 400: A Budget-Priced, Conservative Luxury Car,” Car Life January 1965, all of which are reprinted in Buick Muscle Cars 1963-1973, ed. R.M. Clarke (Cobham, England: Brooklands Books Ltd., ca. 2001); “Oldsmobile F-85,” Motor Trend Vol. 13, No. 2 (February 1961; “Car Life Road Test: Oldsmobile F-85,” Car Life May 1961; “Oldsmobile F-85,” Car and Driver Vol. 8, No. 11 (May 1961); “Road Test: Oldsmobile Jetfire,” Car and Driver Vol. 9, No. 12 (June 1962); Bob McVay, “Oldsmobile F-85 Cutlass: Softly sprung F-85 offers luxury and performance sans blower,” Motor Trend Vol. 15, No. 7 (July 1963), all of which are reprinted in Oldsmobile Automobiles 1955-1963 (Brooklands Road Test Books), ed. R.M. Clarke (Cobham, England: Brooklands Books Ltd., ca. 1989); “Autocar Road Test Number 2151: Rover 3.5-Litre,” Autocar 28 September 1967: 17–21; “AutoTest: Rover 3500 (3,528 c.c. ),” Autocar 15 October 1970, pp. 74-79; “AutoTest: Rover 3500S,” Autocar 21 October 1971, pp. 88-91; “Compact power pack (Motor Road Test No. 17/68: Rover Three Thousand Five,” Motor 20 April 1968, pp. 41-46; “Car Life Road Test: Oldsmobile F-85 Jetfire,” Car Life Vol. 10, No. 3 (April 1963), pp. 31-35; Jim Dunne and Ray Hill, “Six-cylinder compacts,” Popular Science Vol. 208, No. 6 (June 1976), pp. 30–36; Harold Hastings, “A new kind of Roving,” Motor 20 April 1968, pp. ii-iv, 69-70; Geoffrey Howard and Dave Thomas, “2-Car Test: Rover 3500S, Triumph 2.5 PI,” Autocar 5 October 1972, pp. 36-41; Raymond Mays, “Rover makes good,” Motoring Life #19 (1968), reprinted in Rover 2000 + 2200, pp. 67+; “Power with pomp (Motor Road Test No. 34/67: Rover 3.5-litre coupé),” Motor 7 October 1967, pp. 59–64; “The Autocar road tests 1814: Buick Special,” The Autocar 31 March 1961, pp. 494–497; Wayne Thoms, “Road Trial: Buick Special,” Motor Trend Vol. 12, No. 12 (December 1960), pp. 22–27; and Jim Whipple, “Buick Special’s performance-plus economy,” Popular Mechanics Vol. 115, No. 3 (March 1961), pp. 122–125, 286–291; “PM Owners Report: Nimble Olds F-85 Pleases Owners; Mileage, Transmission Draw Fire,” Popular Mechanics Vol. 120, No. 1 (July 1963), pp. 76–79, 196–197; and “PM’s 1000-Mile Road Test of Buick’s New V-6,” Popular Mechanics Vol. 116, No. 4 (October 1961), pp. 108–111, 258–260. this is incorrect. the Buick 350 was in general production until 1980 with something like ~2000 units of rump production being placed in model year 1981 cars. the Rover variant of the v8 lasted until 2004. Oops, you’re quite right. Fixed. This is already spelled out later in the article; I was referring specifically to the cast-iron Buick V8. I love the details you are able to dig up. I worked for a guy in the late 80s who had a 66 Jeep (red like the pictured one) with the V6. His wife owned it since new. He said the V6 in the lightweight Jeep body made it quite a screamer around town. Another great article…although the final paragraphs are depressing, especially in view of recent events. One wonders whether even the post-bankruptcy GM has yet learned the lessons contained in this tale. Not a chance. It’s not simply a GM issue (although GM has been the exemplar of it) — it’s reflective of a basic tendency endemic to modern business. No company learns these lessons, at least not for any length of time. First off, I love these articles. I have a minor correction, though. Incorrect. The GMC V6 was in production from 1960 to 1978 in trucks. Don’t forget that Jack Brabham used the Buick/Rover V8 as the basis for the Repco V8 used in his F1 championship winning car in ’66. BlackJack used the Oldsmobile version for the Repco V8, although as Aaron mentions it was derived from the Buick block. This little aluminum V-8 did make quite a mark in performance cars. I don’t recall whether the engine was the Buick or Olds variant, but early on, Sy Kaback installed one of these mills in his Lotus 15, and was one of the quicker cars in Northeastern SCCA racing. Shortly after, Mickey Thompson used these engines in his Indy cars. Finally, the Repco-Brabham engine was derived from this block, albeit converted to overhead cams. Another fail for GM! It looks like Kaback used the Buick version. I have a question, If the Olds engine used six bolt heads, and the Buick five, were there two different engine blocks? Yes and no. My understanding is that the blocks are basically the same in design, but not really interchangeable because of the different number of head bolts and other minor variations. NO. The production Buick blocks featured the boss for the sixth head bolt, but it wasn’t machined. So yes, they are different while being the same. Thanks for the insight! I hadn’t been aware of that, but it is interesting. 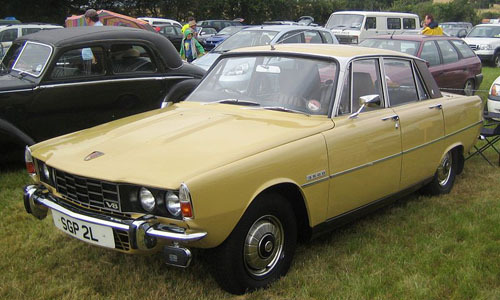 Rover’s sale of the 215 actually began in 1967 with the P6’s predecessor, the P5. It soldiered on in the P6 and then the SD1. Yup — I mentioned the P5B in the article on the Rover P6 (there’s even a photo of the Rover P5B 3½ Litre), but I’d neglected to mention it here. Amended. Love your website. I have to take issue with your claim that the 198ci V6 was developed from the 215 aluminum V8. In the 1953 model year when Buick came out with what was originally referred to as the “Nailvalve”, (not Nailhead) V8, the Special still carried a straight 8 motor of 263 ci. For 1954 a smaller version of the 322 ci V8 replaced the inline 8. It measured 264 ci and was used only for 54 and 55, with all Buciks getting the 322 for 56. This 264 motor was what they used for the basis of their first V6 in 62. Do the math – 3/4 of 264 =198. The Fireball V6 did have the same bore and stroke as the earlier 264 V8, but I think that similarity was largely coincidental. Both were cast iron OHV engines, but their architecture and valve gear are not much alike. Joe Turlay, who both suggested the Fireball and oversaw much of its design, described it as a fairly straightforward derivative of the 215; I haven’t seen anything to make me discount that. Thank you Mr. Severson for this website. I love that a lot of the articles are about cars that aren’t the usual suspects. that has a lot of story to tell. Thanks for the article. 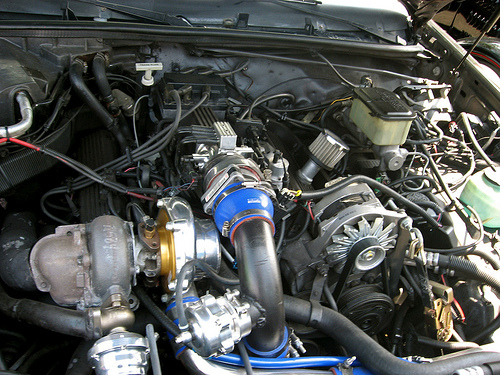 My 1998 Holden Commodore uses this engine, which was introduced in Australia in 1988. It’s a punchy little motor, with 147kw,(about 200hp) but it doesn’t like to rev much over 4000rpm. Holden gave it a major going over in 1995, re-christening it the Ecotech, using it until 2006 when it was replaced by an all new alloy DOHC V6 of 3.6LT. From most accounts it’s an uninspired engine with little character, and not much of an improvement. For 35 long years I had the ‘honor’ of being a Buick Dealer heavy line mechanic. That’s an engine mechanic. A position no real mechanic wanted or would do. Personally I enjoyed. I worked at the tail end of the 215 and through the evolution of the 231. Every year there were problems with some system or part of the development. You know the usual rod bearings, head gaskets, cracking blocks, broken head bolts, dirty valves (EGR related) etc. However we kept them shaking with dozens of recalls and service bulletins. I loved working for Buick. Finally had to go on to other things. Bad back. My final thrill was the Buick IMSA team working on their Somersets in our shop. I currently installed a junkyard Supercharged subframe in my old Phoenix (H). I beat the hell out of it and day dream about all those years of keeping the Fireball alive. In 1994 Rover did a major update to the aluminum block by increasing the bearing journal size to the same as the Buick 300 and 340 engines, Changed head bolt quanity to 10 like the Buick 300 and cross-bolted the main bearings. Now the 300 and 340 crankshafts fit the Rover block as well as the 1964 300 heads. As a side effort AJUSA of Spain makes the latest version of gaskets that will fit the Buick 215 as well as the Rover 3.5. Much cheaper than Rover parts,same quality. I make aftermarket aluminum bellhousings that accept the heavy duty GM 3,4, and 5 speed transmissions. I have three of these engines 2 Buick 1 Olds I have a T5 from aComero 3.8 v6I have been told the 3.8 b h will work is this true? I’m not able to provide technical advice, sorry! Can you give contact information? I have a 215 Buick, a 215 Olds, and a Rover 4.0 block that need to find their ways into some vehicles. Loved this article; it answered many questions I had on the relationship of the V8 and V6. I consider the V6 one of the U.S.’s and perhaps the world’s greatest engines, especially in it’s final form of later years. GM did a great job in refining and continued development of this engine. It makes me wonder what they could have done with the V8 had they kept developing it along side the V6; in other words, give the V8 the 3800 Series III treatments. 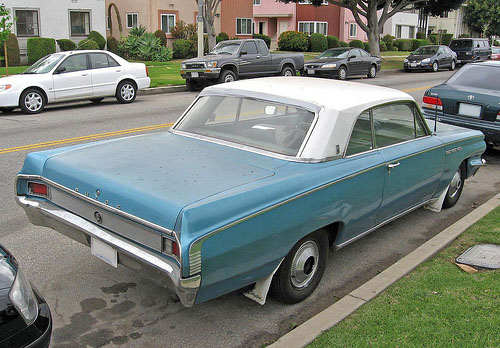 I had a ’63 Skylark 4brl hardtop as my first car, used, looking exactly like the one pictured, color combo and all. It was fast. Traded it on a new ’71 Vega, another aluminum engine! Great article…. but. you have overlooked a short lived further branch of this engines family. the block was made slightly taller and became the Leyland Australia 4.4 litre V8 engine and used in the Leyland Australia P76 sedan from 1973 to 1974. it was also used in the Leyland terrier truck in 4.4 litre form. The 4.4 had a different oiling system to the 3.5 version. 3.5 litre heads and manifolds can be used on the 4.4 block using spacers. The 4.4 version was cast in Australia by Castalloy. One further observation, after Rover/BMW UK ceased producing the engine the tooling was purchased by a private company who i believe still produce teh block. You’re right, I forgot to include the long-stroke 4.4 in the list of variants; I added that to the text. At some point I’m hoping to do a separate article on the Rover P5 and will probably say more about the 4.4 there in the context of the abortive P8, which was supposed to replace the P5. I make bellhousings and flywheel covers with clutch fork dust covers for the Buick/Olds/Rover V8’s. Ialso make a new aluminum thermostat housing to fit these engines and looking to make some high lift valve covers. 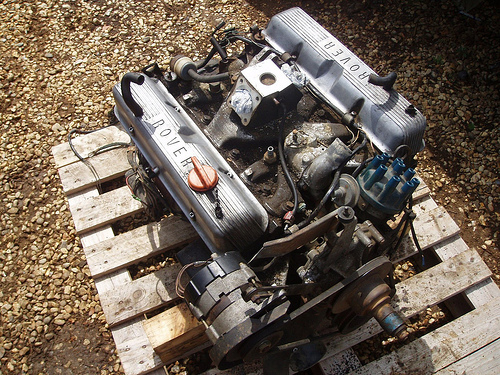 Don’t forget there was also the (aborted) diesel version of the Rover v8 – commonly known as Project Iceberg. It sort-of lived on by providing the bottom end castings for the 4.2 variant. The prototype MG Metro 6R4 also used what was essentially a V-6 derivative of the Rover V-8, although the Cosworth engine actually used in production was a new design. How or where can I get info on the diesel version Rover v8 ie Iceberg? Oops, you’re absolutely right. I had it correct in the later article on the Chrysler 300, but didn’t think to fix it here. I’ve amended the text. Thanks! Fantastic article, I have a grand national and knew the 3.8 had been around for decades in one way or another but had no idea the complete history. Extremely interesting read. Thank you! Yes, Buick continued using the V-6 itself through 1967. 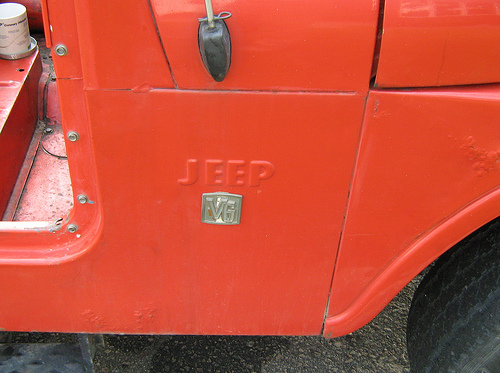 However, the deal with Kaiser Jeep was in 1965; the V-6 showed up in Jeeps starting in MY1966. The provenance of the tooling is a little confusing, but the text is correct so far as it goes. Okay, to clarify this, it looks like Kaiser Jeep did not actually purchase the tooling and manufacturing rights to the V6 until sometime in the 1966 calendar year and the transfer didn’t take place until after the end of the 1967 model year, so you’re definitely correct about that part. I’m assuming that what happened was that Kaiser bought engines from Buick for a while and then got the tooling once Buick production ceased. Incidentally, around the same time, Kaiser Jeep also started buying the Buick 350, which was optional in 1968–1970 Jeep Wagoneers. I’m now curious whether that was a condition of the deal for the V6; Jeep had previously used the AMC V8 and went back to AMC engines in 1971, after AMC bought Jeep. There are also some Australian applications; the Rover based V8 in a 4.4 Litre configuration was used in the somewhat infamous and ill fated Australian made Leyland P76. Holden also produced the Holden Commodore with 3.8 V6 made in Australia but based on the Buick V6. The changes Oldsmobile made to the 215 v8 likely were worth while as their tubo charged version made one horse power per cubic inch and 300lbs of torque! I was going to say the Buick version came very close to that without the turbocharger — 200 hp in 1963 — but the 200 hp Skylark had only 240 lb-ft.
Rover in the early/mid-1960s was also investigating the 3.7 Buick V6 for use in Land Rovers though being a small company there was never any realistic chance it would buy the rights of both 215 Buick V8 as well as the Buick V6 with Rover’s interest in the V6 finally petering out in 1966. Apparently around that time or some point after, Rover also looked at an all-alloy 2206cc V6 derived from the Rover V8 for use in Land Rovers though am unable to find out anything more about that project. Rover had been interested in V-6s since the ’30s, so that wouldn’t have been a great surprise. As I recall, Rover did later create a cut-down V-6 version of the Buick/Rover V-8 for the prototype Metro 6R4, although it wasn’t used in production. I imagine for Rover, licensing the Buick Fireball V-6 as well as the V-8 would have been a financial stretch. The original rationale for the iron V-6 at Buick was that the reduced material and manufacturing cost would balance out its divergence from the aluminum V-8, although looking at the production figures, had Buick not been able to then sell the tooling to Kaiser Jeep (and if the engine hadn’t ended up a GM corporate engine later), they probably would have written it off as a moderate flop. For Rover, making an investment in two different big engines sharing some major tooling, but having different manufacturing requirements, would have been a stretch. I don’t think P5 and P6 buyers would have been terribly enamored of the V-6 and I don’t know that in those days Land Rover’s volume would have justified the expense. The Buick V6 was intended to be limited only to Land Rovers unlike the Rover V8 that found its way to powering both the P5 and P6, though it is possible that an all-alloy V6 derived from the Rover V8 would have likely powered the P10 (P6 replacement) that eventually became the Rover SD1 had Triumph (or British Leyland) not entered the equation. For info on Land Rover and the Buick V6, Google “land rover one-double-one”. The P10 was originally intended to be powered with just a 2.2 Twin-Cam 16v Slant-4 engine (allegedly derived from a stillborn 4.4 Quad-Cam 32v Rover V8) putting out around 145-170 hp*, designed to be built on the same production tooling as the existing P6 four, consequently bore spacings were the same and when this engine was cancelled in favour of the Triumph engines it donated it’s bore size to the P6 to produce the 2200 we now know. Interesting. I’ve read an earlier edition of the latter (through 1977), but the 1986 version is scarce on this side of the Atlantic. I have to wonder how some of these things would have shaken out had the mergers stopped with Rover and Alvis. Obviously, Triumph being a direct competitor meant that they had some very similar ideas — a related slant-four/V-8 family, for one — and so there would inevitably have been consolidation at some point, but in what form I really don’t know. Ideally both Rover and Triumph as well as the British Motor Industry would have been better off as two competitive carmakers instead of consolidated into what became British Leyland, albeit with government interference limited to marque swapping and rationalization as well as bailing out a revitalized BMC. Essentially something to the effect where Rover / Land Rover goes to BMC, Morris and Jaguar / Daimler go to Leyland, with marginal marques such as Wolseley and Riley being discontinued. Yes you could get a 44 gallon oil drum in the boot, and it had the 4.4 litre version of the alloy V8, invariably coupled to a Borg-Warner auto ( I think) at least here in New Zealand. As a poor student in the mid 1970s I got a job at the New Zealand Motor Corp assembly factory in Petone, near Wellington. Our job was “preserving” the P76 body parts. Unfortunately the cases of parts got stuck on the wharf in Aussie due to a strike, and a lot of the caes we punctured by forklifts and the like and the parts exhibited R***. Shhh! We were ont allowed to mention that word! We had to scub parts with wire brushes in hot phosphoric acid. Nice job! Occasionally we retrieved a VERY clean and rounded off part from the acid bath, looked like a 10 year or more old bit of Austin. I knew all the P76 bodyparts by heart, but the Aussies didn’t pack them too well. Instead of half a dozen of each left and right handed parts we got a dozen of one and had to open more boxes to find the opposite number. This we called “robbing” we had a book to note the parts that were short to order from Aus, and they too were often short! How we ever built cars I don’t know! The P76 went like stink and the Aussies cancelled it just as we got into the swing of assembling them in NZ! We used Tectyl as preservative. We also did the Austin Maxi, another stiry! When all that folded Petone did the First Honda Civic assembly outside Japan. Ours had a single reversing light under the rear bumper, Jap assembled ones had two! Now all cars in NZ are imported built up. How times change! Great article! In your “Rover takes a hand” chapter, you mention the 3500 alloy V8 went in everything from military Land Rovers to MG (MGV8). These engines were also used by Morgan (Plus 8), Triumph (TR8), Marcos, and TVR which used a 5 liter version. Its interesting that Triumph used the Rover engine since they already had their own V8 previously used in the Stag, though the contemporary TR7 slant 4 was based on the Stag architecture. A full list of every vehicle that got a Rover V8 would be lengthy indeed — it’s also a very popular swap. I still hope to cover the Stag in depth at some point, but suffice it to say that by the time the TR8 was developed, BL had basically given up on the Stag V8 and as far as I’ve ever seen, there were never any serious plans of using it in the TR7 or the TR7’s abortive 2+2 counterpart, the Lynx. A fair number of Stags have ended up with Rover V8s over the years as well. Triumph never put the Rover V8 in any production model. Of course many Triumphs as well as almost any British made car you care to mention might have had one fitted by its owner. Triumph did indeed use the Rover V8 in production: in the short-lived TR8, q.v. Granted, it was only in production relatively briefly and the U.K. version never really got off the ground, but it was definitely not an owner swap. My bad!. I thought it was the last hurrah for the ill fated Stag V8. One point I am gonna drop here. Oldsmobile, trying to be the big dog over Buick, claimed their engines were more durable than the Buick, because of the extra head bolt. On paper, might be true when turbocharged. However, seen many turbo Buick and Rover V8’s, with no head gasket problems at all…. Great, informative article! One correction though: the Even-fire V6 was introduced as a running change in ’77. We had a ’77 Cutlass with the even-fire V6. Thanks for the correction! I amended the text. I used to love my Dads Jeep with the Buick V-6. That Jeep would burn rubber like crazy either going forward OR backwards in reverse. When I first met my wife she had a ’63 Skylark and I had a ’62 F85. The Buick always seemed to have overheating and head gasket issues. My Olds engine seemed indestructible. Couldn’t say the same about the transmission. I believe I read some ware that Holden used this engine during the sixties. Any truth?? I’ve never heard of Holden using the Buick/Oldsmobile V-8, at least not as a factory option. When Holden introduced V-8s in the later sixties, they were first supplied by Chevrolet and later replaced by the locally developed and manufactured Holden 308. However, some early sixties Holdens did use the same transmission as early automatic F-85s: the moderately infamous three-speed “Slim Jim” Roto Hydra-Matic. Roto Hydra-Matic is discussed in some detail in part 2 of the recently updated GM transmissions — https://ateupwithmotor.com/terms-technology-definitions/hydramatic-history-part-2/ — including my somewhat flailing attempts to diagram the mechanical layout. Heya! My brother gave me a link to this article because a photo I took was used in it. Obviously my ego required that I look at it, but it turns out this was actually a really good read — it’s excellently researched and very well-written. Fantastic article! Also, while the license under which I released the photo did not require you to give me a credit for the photograph, you did it anyway, and that is very cool of you and very much appreciated. Great article! I’m going to have to read everything else on this site if this is representative of the kind of stuff that is posted here. Keep it up! •	Short block (rolling components) are assembled. •	Rocker shaft assemblies are ready to install, shafts were hard chromed and ground, rockers had bronze bushings installed and valve contact surface machined. •	Stock valves are 1.250” exhaust and 1.500” intake the heads have been machined for 1.500” exhaust and 1.720” intake, heads have been welded to allow for porting (see pictures) first intake porting got into a water jacket it has been welded and needs new seat installed. I have an extra stock head as well. •	Kennedy Engineered Products VW adaptor, flywheel, clutch and pressure plate, and Hi-Torque starter. •	Set of 3/8” thick flanges to build headers. •	I believe all but porting, valve springs and retainers are present to complete the build, DSE (Dave Smith Engineering) did all the machine work, I was going to build a sheet metal intake for maximum power, I have an adaptor to mount the heads to a flow bench, we took an baseline with the 1.72” intake valve and after porting gained 73 CFM. Todd, how much for the Buick 215? Location? I’m also looking for a good front cover with a good oil pump housing. It is interesting to note that Rover looked at developing a family of Rover V8 derived all-alloy engines from V4s, Slant-4s and V6s along with Slant-4 and V8 diesels. What prevented Buick let alone GM from thinking along similar lines by spawning similar albeit non-alloy V4 / Slant-4 variants from the Buick V6 / V8? Along with smaller capacity versions of the Buick V6 and V8? A complete absence of perceived need, really. 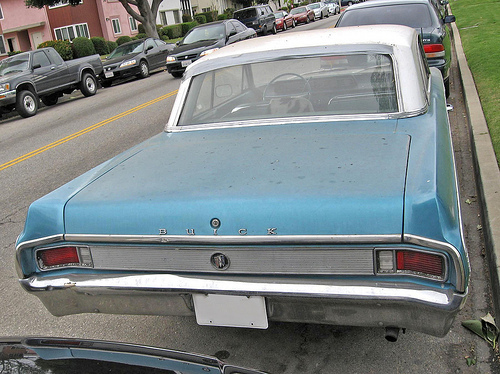 Until the OPEC embargo, Buick barely needed a six and had no need at all of a four. The alloy V-8 was originally designed at 3 liters, which was judged too small — note that the original Fireball V-6 was over 3.2 liters! The main rationale for the V-6 was that it was cheaper (and in particular cheaper to make) than the V-8, not that there was a real demand for something of lower capacity. (That was also the goal of the Pontiac Slant Four, which despite its lack of cylinders had only about 2 cubic inches than the Buick V-6!) Buick wasn’t in the business of designing engines for other divisions and other divisions were only interested in buying Buick engines if they were either ordered to do so (Pontiac) or wanted a six just in case, but didn’t foresee enough demand to bother tooling for one of its own (Oldsmobile). In both cases, the big Chevrolet inline six was subsequently deemed a more convenient choice. It’s important to understand that Buick’s iron 300/340/350 V-8 was closely related to the earlier alloy V-8 and Fireball V-6 in basic architecture; the initial 300 even retained the aluminum heads, although they were gone by 1965. There was no advantage at that point to a smaller capacity. For one, the divisions were competing against each other, so having a V-8 much smaller than whatever corporate specified as the maximum allowable displacement for the intermediates (330 cubic inches initially, later 350) was a competitive disadvantage. For another, GM engineering philosophy of the mid to late sixties was that a bigger capacity, mildly cammed engine with modest carburetion and tall gearing would give the best combination of fuel economy, response, and ability to meet early U.S. emissions standards (which were based on a percentage of exhaust volume rather than total emissions in grams per kilometer/mile). Reducing the V-8’s capacity would have involved de-stroking and thus would have cut into torque and emissions performance. Was thinking that smaller (Euro-inspired) displacement versions of the Buick V6 (2.2-3-litre) and V8 (3.0-4.0-litre) along with possibly Slant-4s or V4s (2-litres and below), would have allowed GM to put a unique spin on US versions of imported Opel and Vauxhall models as well as later on their own mid-size to subcompact models (as opposed to larger models where such engines are likely prove less then adequate). Especially once the fuel crisis happens, so GM would not have needed to try and buy back the 215 Buick V8 from Rover like they did during the 1970s if they already produced non-alloy versions of the “Compact-Block” Buick V8 at 2950-3998cc. I’ve never seen any reliable indication that GM did try to buy back the Buick V-8 from BL. I’ve seen a variety of dubious accounts suggesting that GM was at various points afraid of BL products with that engine competing with GM products (which seems unlikely to me), but the most credible account I’ve heard was from former MG chief John Thornley, who said GM execs he dealt with were mostly amazed that Rover was still using an engine that Buick had considered outdated, expensive, and troublesome. Now, obviously Buick DID buy the tooling for the V-6 back from AMC, so, having a cheaper iron 3.7- or 3.8-liter six in hand (the version Jeep built was 225 cu. in./3,692cc, but Buick bumped the displacement a bit for better commonality with the V-8), why they’d want a more expensive 3.5-liter V-8 is hard to see. Once Buick had the V-6 back and CAFE was enacted, their plan was to phase out the V-8 entirely in favor of turbocharged versions of the V-6, which is what they ultimately did for quite a while. They did of course develop de-bored or de-stroked versions of the V-6 down to to about 3 liters as well as a bigger 4.1-liter version (which didn’t last terribly long). Given how underpowered the carbureted, smog-controlled normally aspirated versions of the V-6 were in the seventies and early eighties even in the H-body Skyhawk, a much smaller version, or a four-cylinder spinoff, would have been truly miserable! Another consideration is that while slant-4s can in principle be built on the same tooling as a V-8 or a 90-degree V-6, actually doing so can be a logistical headache. (Triumph discovered this in the seventies.) It’s a complicated set of trade-offs; it can save you the cost of tooling for a new engine line, which is handy for a low-volume engine, but it can also interfere with your supply of engines you need in greater numbers. This is likely the calculus that led Buick to dispose of the V-6 in the first place! Buick also had no incentive whatever to install new engines in the Opel products it imported. The only reason Buick ever got into selling Opels in the first place was panic during the late fifties recession, when the Y-body wasn’t yet available. They sold well enough to keep around, but not well enough to justify setting up local production — which at greater volume would have been significantly cheaper than buying cars from Opel and then shipping them to the U.S. To install new engines would have required allotting plant capacity to the engines, allotting assembly space to installing them in cars, and figuring out what transmissions to use to handle the extra torque. (I’m not that familiar with Opel gearboxes, so I’m not sure if the ones in six-cylinder Rekords would fit the Kadett floorpan.) That’s a lot of trouble to go to for models that, by GM standards, were marginal (U.S.) sellers and that Buick dealers didn’t especially like. GM did import the Vauxhall Viva which itself formed the basis for the Australian Holden Torana that was fitted with inline-6s and V8s. On top of that the South African Chevrolet-badged version of the Viva-derived Vauxhall Firenza was fitted with a Chevrolet Small-Block V8 as well as South African versions of the Chevrolet 153 4-cylinder engine. Know that Vauxhall were on the verge of producing V8 petrol and diesels derived from its Slant-Four engines (plus diesel Slant-4s), not sure whether a similar 90-degree V6 was considered though. After the project was canned, Vauxhall once more looked at Chevrolet or Holden V8s to power their larger models pre fuel-crisis, similar to what Opel did with the Opel Diplomat. Not sure about a small capacity Buick V6 or Buick V6-derived slant-4 being used in the H-Body Skyhawk (albeit only via turbocharging or in markets outside of the US where emissions rules are more relaxed), however it might have been possible with the T-Body Buick Opel with possible turbocharged variants. After all Buick V6 T-Body conversions do exist and GM themselves even played with a V6 version of the Chevrolet Chevette, though strangely not the 2-litre engine from the Chevrolet Vega Cosworth. It’s really, really important in understanding why GM did or didn’t do things to recognize that until the Roger Smith reorganization in the eighties, GM was to a large extent a bunch of different companies under common ownership, operated on what’s now called a profit center basis. That meant that if one division wanted to use another’s design or components, they had to buy them, which entailed paying a certain degree of markup. So, deciding whether to design and manufacture a component internally, license a design to build in-house, or buy complete or near-complete units entailed a lot of complicated financial calculation of development and tooling costs versus purchase prices versus sales projections. There was also plant capacity to consider, which is why even Chevrolet bought some stuff from supplier divisions that already had big factories to make those components and could offer a competitive price without the additional investment. Also, while the divisions were supposed to operate independently and maximize their own ROI, corporate management did occasionally demand one division buy designs or components from another, sometimes to shore up the latter’s bottom line. These considerations were fundamentally the same for GM-Holden or Vauxhall as they were for Buick or Chevrolet, but the actual numbers differed quite a bit. For instance, Chevrolet was able to justify building and selling Powerglide rather than buying Hydra-Matic because by the sixties, Chevrolet was selling more cars each year in the U.S. than were sold by all automakers in the U.K. combined; Powerglide was simpler and cheaper to make than Hydra-Matic and sold in vast numbers, so amortizing the development and tooling costs was undoubtedly not hard. Holden, by contrast, had much fewer facilities and a much smaller annual volume to justify expanding them, which is why, for example, they imported some Chevrolet V-8s despite the heavy tariffs, shipping costs, and wholesale margins. Not trying to put the Cosworth Vega engine in the Chevette is in no way a mysterious decision. The Cosworth engine had a torturous development (q.v. ), was very expensive, and didn’t even make sense for racing homologation because it wasn’t capable of competing with the Ford Cosworth BDA engines in output. It was a neat idea that just didn’t work out. Understand, just that GM did not have to take such a hamfisted approach in downsizing to meet CAFE and emissions standards with engines such as the 2300 and Iron Duke at the lower end of the range. Though Buick had abandoned its regular V8 around that time, all things considered a 146-167 hp 4-litre V8 spun off of the 110-125 hp 3-litre Buick V6 would not be too shabby compared to its distant all-alloy relative. Regarding the Chevette. Surely a more potent version was considered for the North American market along the lines of the Opel Kadett C GT/E and Vauxhall Chevette HS, outside of the 60-degree V6 engined prototype? They wouldn’t have been able to get 146–167 hp out of a 4-liter version of the V-8; at the point the Buick 5.7-liter V-8 went away, the normally aspirated 3.8-liter V-6 made 110 hp and the 4.1-liter made 125 hp. Returning the V-8 to its original 4.9-liter displacement would probably have been good for 130–135 hp at that point. In retrospect, that might have been a prudent move, but at the point the decisions were made, the assumption was that CAFE was going to make the V-8 obsolete and that the turbo V-6 produced as much power with better fuel economy. Also, consolidating Buick engine production around versions of the V-6 made more sense from a production facilities tooling standpoint. I don’t know offhand if there were ever serious plans for a hotter North American Chevette. There was an “H.O.” version of the 1.6-liter four for a couple of years, but that was only good for 4–5 extra horsepower. The Chevette’s role in Chevrolet’s U.S. lineup was CAFE booster and loss-leader, so it suffered from the fact that dealers would rather sell you a mid-line Nova or later Citation than a gussied-up Chevette. Obviously it would not be the case initially (and is dependent on how harsh the emissions laws are), hence why am using the early/mid-1980s 3-litre Buick V6 LK9/LN7 as a rough reference for a 4-litre Buick V8. Regarding Chevrolet wanting to develop a new cast iron 4-cylinder for the Vega, are you referring to the OHC L-10 unit? If so is it known what the displacement and power figures were compared to the existing Vega engines? While understanding the Chevette’s role in the US, it is a shame that the US never got the opportunity to experience proper performance Chevettes as was the case in the UK and Europe as that would have likely helped mitigate the low option people tend to have of the Chevette in the US. The Chevette in the U.S. was sort of a pre-transformation Cinderella, in that there was nothing intrinsically wrong with it except for its family’s determination to confine it to menial chores. Certainly, by the latter ’80s it suffered from being an early ’70s RWD design in a marketplace of increasingly sophisticated FWD C-segment cars, but that wasn’t the platform’s fault. I don’t know much about the cast iron engine DeLorean described Chevrolet having developed, so I can’t comment on its specifications (which I don’t have) or potential. I presume that it would have been physically smaller than the 2.5-liter four Chevrolet offered in the Chevy II/Nova, but beyond that, I don’t know. Even though it was an aging design GM could have still attempted to follow the example of Isuzu by getting Lotus to tune the suspension and handling of the Chevette as was done on the related Isuzu Piazza. Would it be accurate to say that both the OHC L-10 and the engine DeLorean described Chevrolet having developed as being the same engine? Nope. I was under the strong impression that the 1.8-liter L10 four used in the Chevrolet LUV pickup was an Isuzu engine, also used (in somewhat higher-tuned versions) in versions of the early ’70s Bellett, Florian, and 117 coupe. The engine DeLorean was talking about, whose intended specifications again I don’t claim to know, was to be an in-house design. Since GM ended up owning a significant chunk of Lotus in the ’80s, Chevrolet could probably have done a Lotus-tuned Chevette chassis for the U.S. except that they had no incentive at all for doing so. The Chevette remained in the U.S. lineup as a price leader and a way of propping up CAFE a bit; if a customer wanted something with a little more power or better appointments, I think Chevrolet dealers would have much preferred steering them toward another model with better margins, like a Cavalier Z/24. A near neighbor of mine in the 1980’s was working (I believe for Lucas UK), with Perkins – a British diesel engine manufacturer – trying to develop a diesel version of the Buick V8 engine. Or Rover V8 as it was universally known in the UK. It never reached the stage of being put in production cars, I don’t know if any running engines were put in test mule cars. Perhaps an iron version would have the strength to cope with the loads and stresses of diesel power, I don’t know, I’m not an engineer. It made sense at the time, only Mercedes Benz made large (by European standards) diesels with much refinement, most British diesels were in 1 ton vans, Ford and British Leyland made their own ill regarded diesel engines, most others used the ubiquitous Perkins engines that were also used in agricultural tractors and canal boats. I remember now, the V8 diesel adaptation was called Project Iceberg. Given how much trouble Oldsmobile had with making a diesel engine out of a petrol V-8 — and a stouter iron one at that — a Rover V-8 diesel seems like a dicey proposition. It might be more feasible now, given the great advances in stress analysis; I know some manufacturers more recently have even created some aluminum-block turbodiesels that have seen production. Excellent article. My father owned a 1962 Buick Special V6 (rubber floormats and AM delete, but strangely enough: air conditioning), so I already knew that it was a 90 degree block without a split pin crank, but I always thought it was aluminum like it’s V8 big brother. I also thought this engine was a small version of Buick’s nailhead design. Also I was intrigued by your comment: “The new engine, known as the Fireball V6, was suggested by Joe Turlay, who convinced Ed Rollert that a V6 version of the small V8 could be produced on the same production lines and would be superior in every respect to the big Pontiac four.” This is pretty much true for the final assembly line but the tooling and machining processes for cast iron and aluminum are completely different. One more thing, after Ford bought Land Rover, I was the Ford PAG Powertrain Planner who wrote the program approval papers in the early 2000’s that replaced the Buick V8 engine with the Jaguar V8 in Land Rovers. It’s interesting that you were involved at essentially the end of this line! Or one part of it, since the V-6 stuck around for a few more years. The end of an era, to be sure. As the owner of two 215s, neither in a GM car, I can attest to the wonderful flexibility and strength of this engine. One of mine is mildly modified, the other more highly so, and I love ’em both. One came out of a ’62 Special. It had a two speed automatic. I always thought it was a Powerglide! That engine is in front of a Roto now. The other drives an M-21. As you may have seen from the separate article covering Dual-Path Turbine Drive, the ’62’s transmission was quite a bit different from Powerglide! It’s not that it’s necessarily difficult, just that it entails a number of significant compromises (generally including an engine that’s physically larger and heavier than a clean-sheet inline-four of the same displacement). Whether it’s worth doing or not really depends a lot on the manufacturer’s priorities. Some of these can cut either way; for instance, it’s cheaper to share tooling, but at higher production volumes, it can also be a real logistical headache. I have what appears to be a 215 all aluminum V8. It has a strange intake manifold that I was told was for a supercharger. All it has now is a small 2 barrel carb. I’m just looking for more information. Help if you can. I’ll send pics to anyone that might can help.